UPDATE: Alexis has been found safe. According to state police, the car was found in a wooded area behind the family’s house. Troopers said Weber’s mother did not put the vehicle in park when she got home, and the car rolled forward with the child still inside. The car rolled over a small parking curb and down a hill into a wooded field. The child is OK. The Pennsylvania State Police from Bloomsburg are asking the public to be on the lookout for a 2005 yellow Ford Mustang. 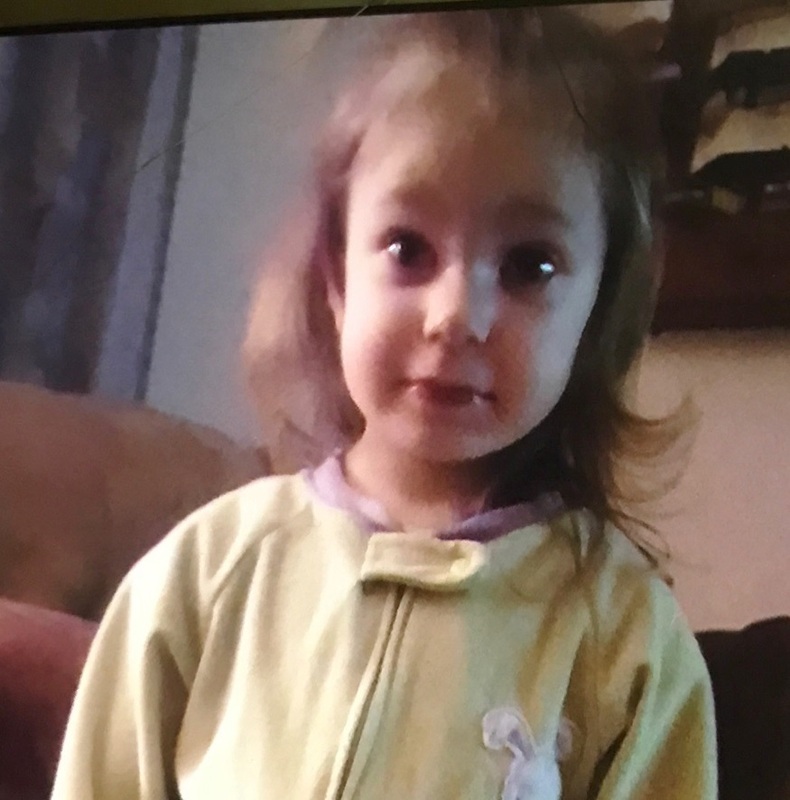 State police said Alexis Weber, a 2-year-old girl, was abducted from 2200 West Front Street in Berwick today (Sunday, February 5, 2017) around 7:00 p.m.
She is described as 3 feet tall, 30 lbs., with blond hair and blue eyes. She was last seen wearing a white coat, blue polka dot shirt, and black pants. Weber was inside a 2005 yellow Ford Mustang convertible with Pennsylvania registration HWN-1367. Troopers said the vehicle was stolen and was headed towards Laporte, Pennsylvania.